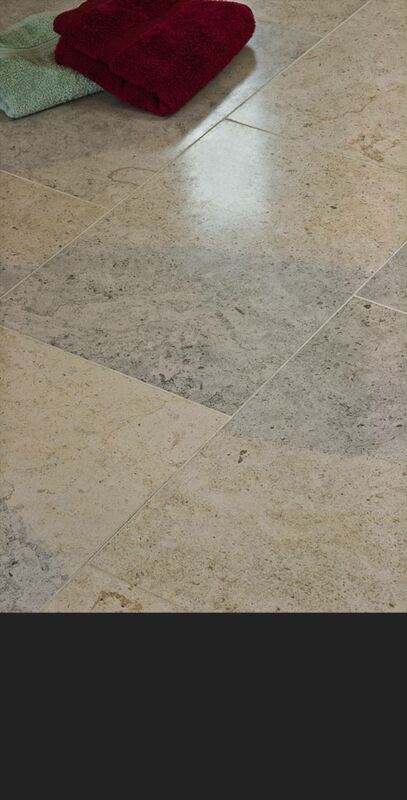 Rivera limestone flooring has pale grey beige colour mix and attractive fossilisation marking. Each stone tile has sawn square tile edges, allowing for tight grout joints and a smooth honed surface, all producing an impressive classical stone floor. This limestone flooring is to be sealed and finished on site to produce a satin/matt sheen finish. Rivera limestone flooring is very hard wearing and is suitable for both domestic and commercial situations. * Pale grey & beige mixed stone. * Tiles in 2 flooring patterns. * Low porosity & hard wearing.